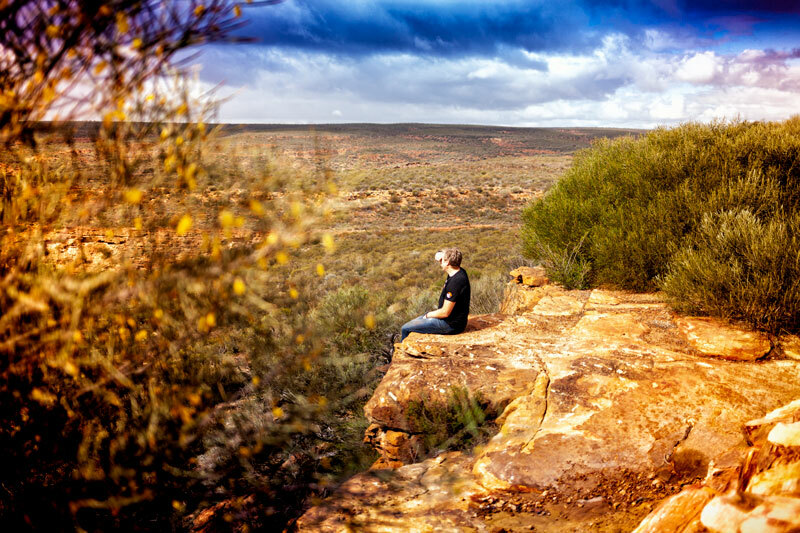 You’ve got to put in the work – and the kays behind the wheel – to appreciate the best of what WA has to offer. Sandgropers know what the rest of the country sometimes struggles to understand – WA is a seriously BIG place. It’s a long way from everywhere else and its jewels are scattered far and wide once you get there. So it’s not always practical for an east coaster to drag themselves all the way out to WA. Travellers on their ‘big lap’ are unlikely to miss it but, for many of us, it’s somewhere that is often out of reach. But at BMPRO, we relish these opportunities to take our gear on the road – the further, the better in our minds! So we planned a trip which would see us (or BMPRO chief operator David Bayliss, to be more specific) head west for the 3000km-plus journey to Perth with a further 2500km return trip north to spectacular Karijini National Park to show just what could be done with a limited timeline. Dave, in the BMPRO LandRover Discovery 4 towed a brand new Jayco Adventurer caravan and was joined by a photographic crew in a KEA campervan, and Trakmaster and Coromal caravans. 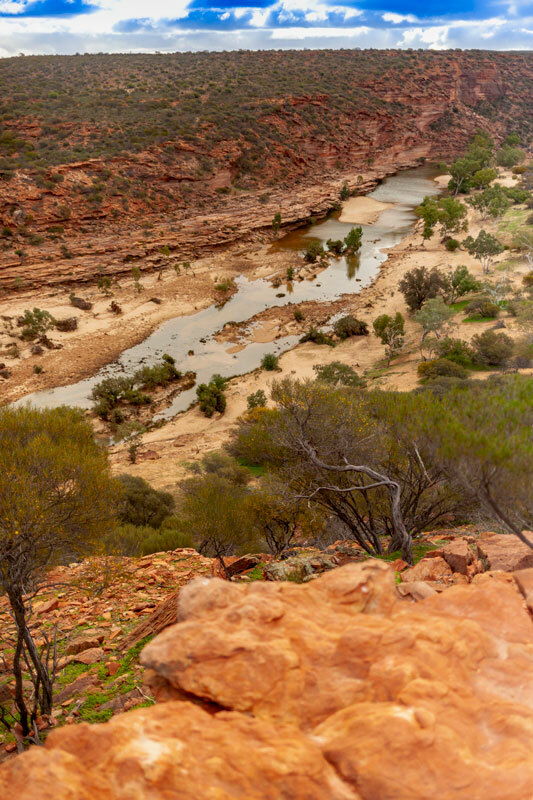 We gave ourselves a week to get up to Karijini, explore its natural beauty and get back to Perth – given, it was a bit of a stretch – but it highlights the possibilities of the area as a fly-drive option for eastern staters on limited time and a destination for Big Lappers to pin on their maps. What we came away with was a new love for the remoteness of WA’s mid-coast, and the edge of the red centre. To break it down in simple terms, we headed north from Perth to Exmouth via Geraldton and Kalbarri, then inland via Tom Price to Karijini National Park and down the inland route back to Perth. During this time we travelled through the high-density Perth suburbs, its farming outskirts, the dry wheatbelt, onto the coastal plains, and to the border of the country’s desert heart before heading south via every inland roadhouse we came across. Our first stopover was Geraldton, about four hours north of Perth. And this is where the unexpected greens of the landscape turned to the reds we imagined. None of us expected the farmland in the 400km north of Perth to be so lush. We could sense the dryness of the land, evident in the dust, the dried-out dead and dying trees and the lack of wildlife, yet here were hectares of green paddocks. In ‘Gero’, as it’s known, we restocked and pored over our maps to plan out the days ahead. North of Geraldton, the landscape changed again – this time, to mallee scrub, sand, dirt tracks, errant emu, and road-trains with inches of caked red dust. We set our sights on Denham, a lovely coastal town in Shark Bay, the western-most region of WA. We then headed onwards to Exmouth but not without a stop at the infamous Overlander Roadhouse. Past here, it becomes important to know where fuel stations are, so use your time here to have another look at the map and make sure you can get to where you’re going. Home to spectacular World Heritage-listed Cape Range National Park and Ningaloo Marine Park, Exmouth is a huge drawcard for travellers from all over the world. It’s the perfect place to enjoy sunset over the water and the sea breeze before turning east, towards the desert. Travelling inland from Exmouth is straightforward as the many active minesites in the area need access to the coast, so the roads are well maintained. We plotted our course to Cheela Plains Station, 90 minutes from Tom Price, the gateway to Karijini. We booked two nights at Cheela Plains Station, an active cattle station with private gorges. Proprietors Robin and Evan Pensini have actively managed the property to good health through renewable pastoral practices and in doing so, established the farm stay in 2015. Using a mix of new and existing station buildings, and employing some experienced locals, the stay is now a haven for all kinds of traveller. Camping near Cheela’s gorges offers a rare opportunity in the region, camp fires. 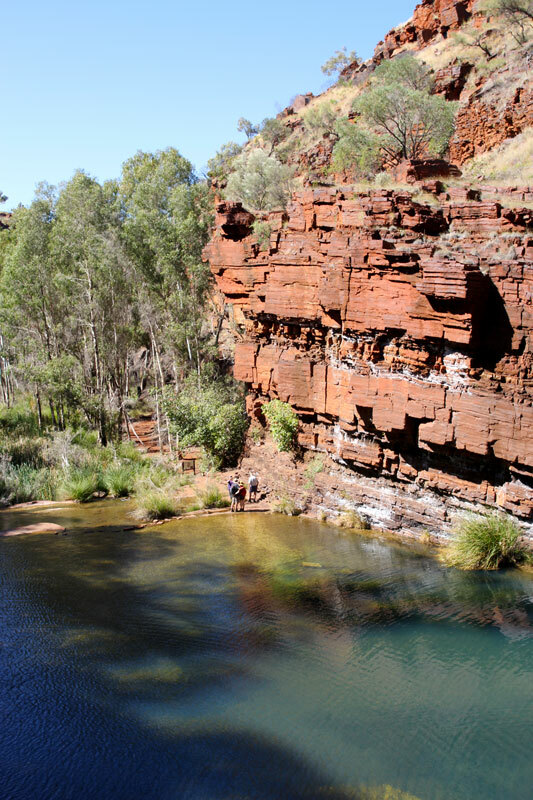 Karijini National Park is littered with campsites but all have year-round fire bans, but not so Cheela. A further 112km along Nanutarra Rd (State Route 136) is historic Tom Price, a mining town – and, interestingly, the highest town in the Pilbara at 747m above sea level. 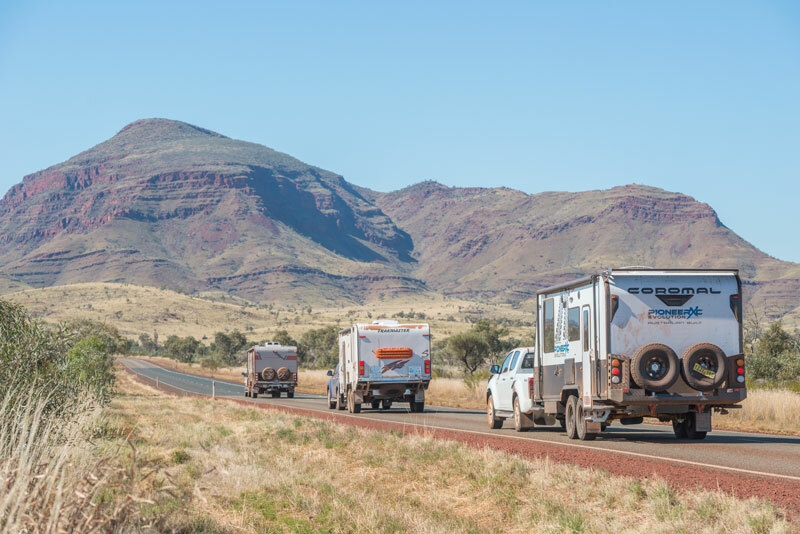 It’s largely a service town and we took the opportunity to restock (and re-caffeinate) before visiting some of the sights of Karijini and Millstream Chichester National Parks.